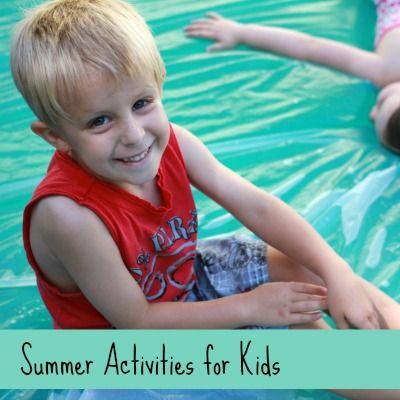 We have been a bit obsessed with frozen summer fun around here lately! 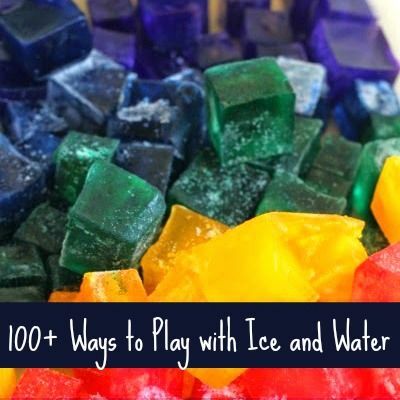 Frozen fun is my favorite way to beat the heat without sacrificing play. I have no interest in sitting in the house all day when I could be outdoors, and neither do my children. 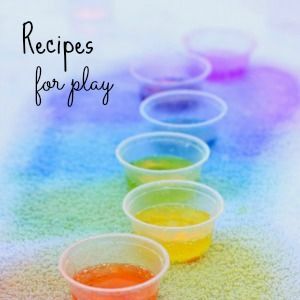 A few of our recent favorite ways to have fun with ice include frozen Oobleck with real lemons, make believe snow cone stand (with a recipe for whole foods snow cones without any sugar or artificial ingredients), and homemade smoothie paints. Last summer we froze water beads for the first time, and all four of my boys enjoyed that sensory activity. 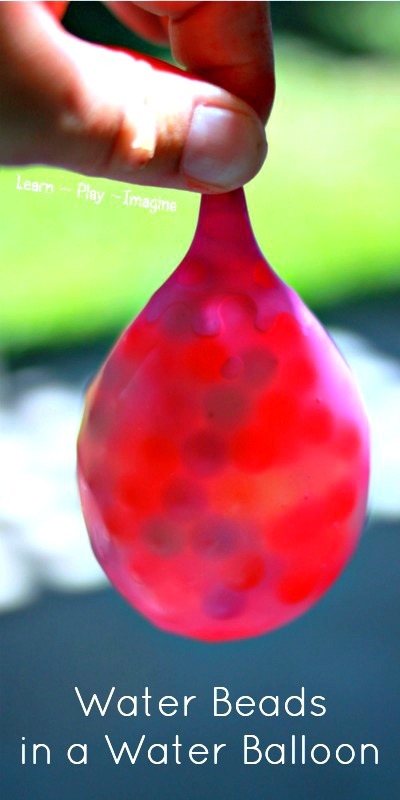 While planning to freeze another batch of water beads I decided to combine frozen water beads with another summer favorite: water balloons. 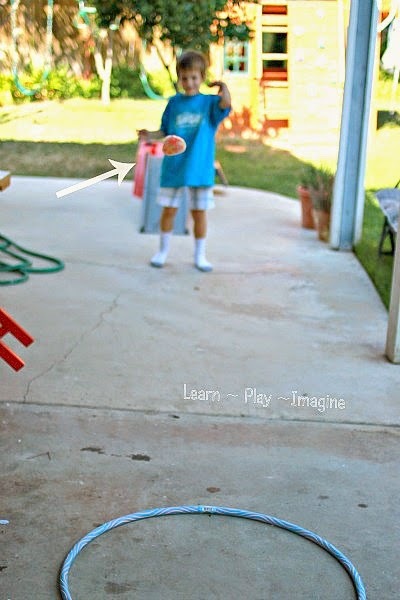 Directions: I attached a water balloon to a funnel to get the water beads inside. While being careful to not push the balloon off the funnel I used my finger to push the water beads inside the balloon. Next I attached the balloon to the pump to fill with water. The pumper is not necessary, but it sure makes it easier to fill water balloons with added sensory materials. Every hour or so JZ (6), J-Bug (4) and I checked the balloons to see how the water beads had changed. Water beads start off tiny and expand when soaked in water. It takes several hours for them to reach full size. Once they had fully expanded they boys and I had a wonderful time squishy the water balloons and playing with them. 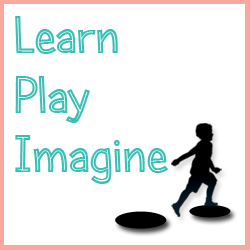 This is one of those sensory activities that I have a hard time fully describing. It was so cool! The texture of the balloons was so unique and intriguing. None of us could keep our hands off of them. After we were finally done squishy the balloons I put them all in a bowl and stuck the bowl in the freezer to play with another day. When we were ready for some frozen fun I grabbed the bowl and peeled the balloons off of the icy balls of water beads. JZ was the only one who wanted to play with the cold balls of ice. He has a love/hate relationship with ice. 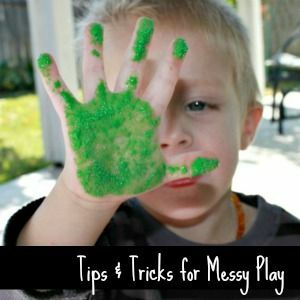 He wants to enjoy the sensory play, but he hates when his hands get too cold. He is always up for a game of ice bowling, so I figured he would enjoy another gross motor activity with these frozen balls. The game was super simple. I placed a hula hoop on the patio, and JZ stood about ten feet away and tossed the ice balls into the target. After tossing several he got closer and smashed them as hard as he could into the center of the hula hoop. The cracked balls looked marvelous. He picked up each broken piece and threw it again until all of the ice was in tiny pieces. We picked up all of the broken pieces together and put them back into the bowl. When Peanut (24 months) woke up he went straight to the bin and played with the water bead goo. When frozen water beads defrost they break and split. *Please use caution with young children and water beads. They should not be ingested. Never use Water Balz. They have been recalled and are unsafe. 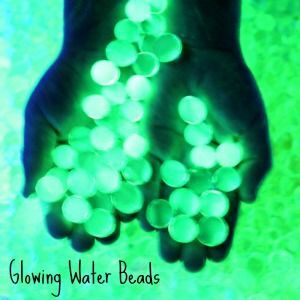 For more ways to play with water beads follow me on Pinterest. They're beautiful when they're together but they're even more beautiful broken apart! What a great idea! 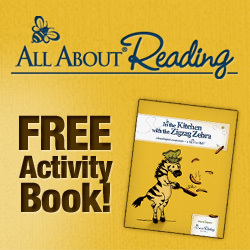 I featured it at TGIF Today (http://www.123homeschool4me.com/2013/08/tgif-linky-party-89.html)! Thanks for sharing your creativity with us & I hope you'll link up again today! Sometimes my son asks to check "that place with all the fun ideas" (aka Pinterest). 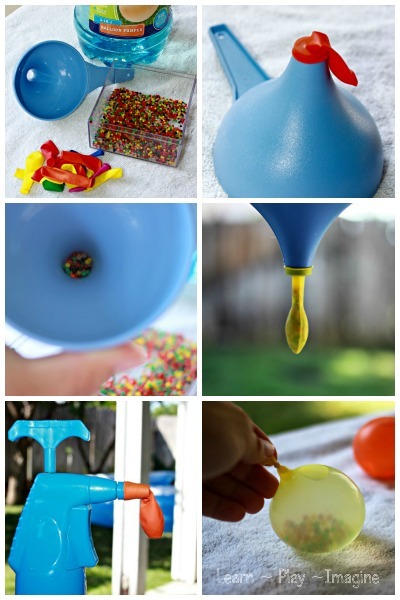 He saw this among my summer ideas and has requested we try the frozen water beads in water balloons this week! :) Thanks for a fun summer activity. 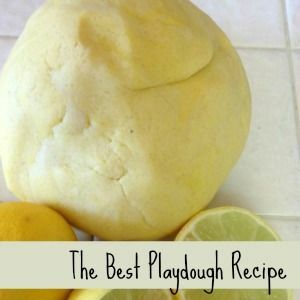 Hi Beth, I'm new to your blog and I love your activities. Tell me more about the water beads. 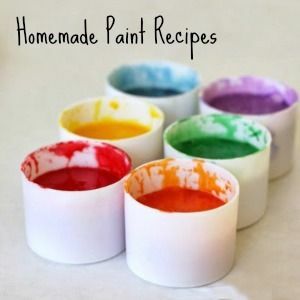 This looks like a fun activity for my special needs class but I'm not familiar with the product. Thanks! What a great idea! My friend bought some water beads, but they were too tempting for our little ones to play with without eating. 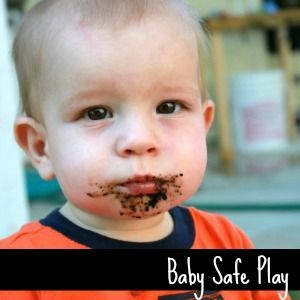 This is a great way to allow them to play with them without the choking risk!